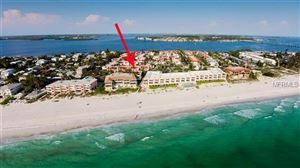 Bounded by the Gulf of Mexico, Bimini Bay, Anna Maria Sound, and Sarasota Bay. Holmes Beach stands as the largest of the three cities located on Anna Maria Island. With more than 5,000 permanent residents, Holmes Beach stretches just over three miles with white sandy beaches, making it popular for permanent and seasonal residents. The community offers single family homes and condominiums as well as gated communities. There is even a private golf course at Key Royale Club surrounded by upscale waterfront homes and deep-water canals. Homeowners are drawn here for the waters of Bimini Bay and access to Tampa Bay through the Key Royale Pass. Bradenton Beach can be found at the southern tip of Anna Maria Island. It is a small town known for its fishing piers, sugar-sand beaches and a quaint strip of shops, restaurants and other family-owned businesses. People live on island time here and make no excuses for it! Drive-through restaurants are not allowed. 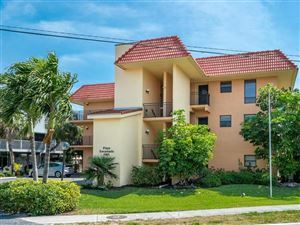 In their place you will discover Pine Avenue with specialty shops, galleries, beach stores, the Anna Maria Island Historical Museum, Artspace Studios and Gallery and Anna Maria Accommodations. More than 1,500 people call this area home. There are many investor-owned properties serving the seasonal residents and tourists coming to take advantage of the community’s outstanding recreational areas and activities. More than one third of Bradenton Beach is reserved solely for public recreation. Two large public beaches are easily accessible at the southernmost part of town. Leffis Key is also a great site for leisure opportunities, with the historic Bridge Street open for dining and entertainment adventures. Residences range from studio condominiums to large family waterfront homes built for entertaining at the beach and prices from the low $200’s to more than $2million reflect that.